Remember that part in Being John Malkovich when everyone looks like John Malkovich? That scene from the 1999 surreal movie has (sort of) come to life. Malkovich's latest starring role to grab headlines isn't for a movie but as a model in a series of photos where he recreates some of the most famous portraits in history. The project titled "Malkovich, Malkovich, Malkovich: Homage to Photographic Masters" has the titular actor stand in to replicate the poses and expressions of the likes of Che Guevara, Marilyn Monroe and John Lennon. The portraits in the series include figures from history to pop culture captured by some of the best-known photographers of our time. 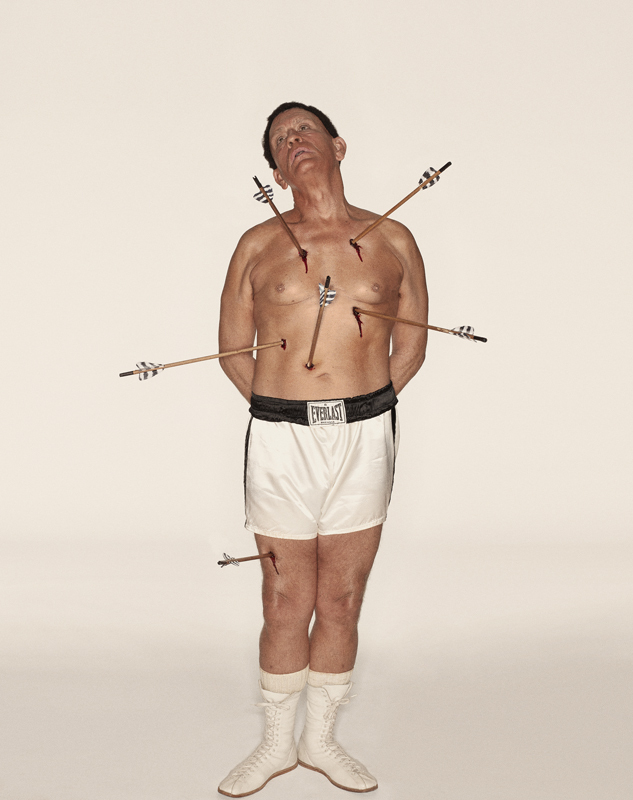 Malkovich expresses anguish as he stands with arrows sticking out from his body to mimic Esquire's April 1968 cover featuring Muhammad Ali as St. Sebastian. 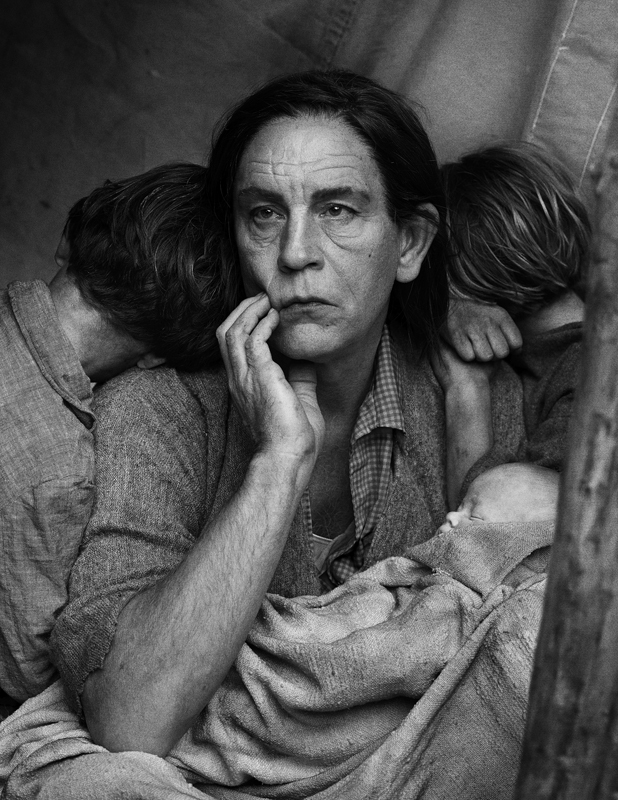 He looks pained in a spot-on recreation of Dorothea Lange's classic Depression-era "Migrant Mother" photo. 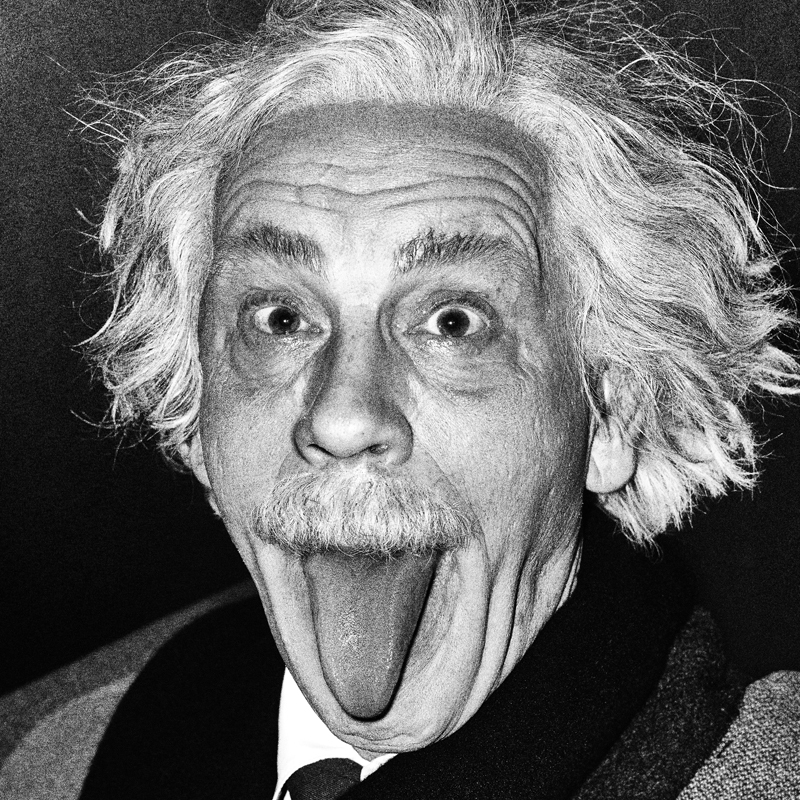 Malkovich also captures the frenetic wackiness of Albert Einstein sticking his tongue out. The series is a collaboration between Malkovich and photographer Sandro Miller, who has worked with the actor on several occasions in the past. Miller first met Malkovich about 16 years ago while working on a project for Chicago's Steppenwolf theater company, of which Malkovich is a longtime ensemble member. Miller first selected 35 photos that have influenced his photography career and then reached out to Malkovich to collaborate on yet another project. "John is the most brilliant, prolific person I know. His genius is unparalleled. I can suggest a mood or an idea and within moments, he literally morphs into the character right in front of my eyes," said Miller in the exhibition statement for the project. Malkovich and Miller replicate the poses of these famous figures so well that I at first thought they had just Photoshopped Malkovich's face over the bodies of the original models. That's not the case as each photo seems to perfectly recreate the original from hair to makeup to props. Malkovich even brought his own wax to mold the prosthetic noses to become Salvador Dali and Pablo Picasso, Miller told Entertainment Weekly. "I don't think John is just an actor for the big big silver screen. I think John is a perfect example of a pop culture icon ready to take on anything," Miller told Entertainment Weekly. The photos will be on display at Chicago's Catherine Edelman Gallery starting Nov. 7. Check out the rest of Miller's portfolio on his official website.